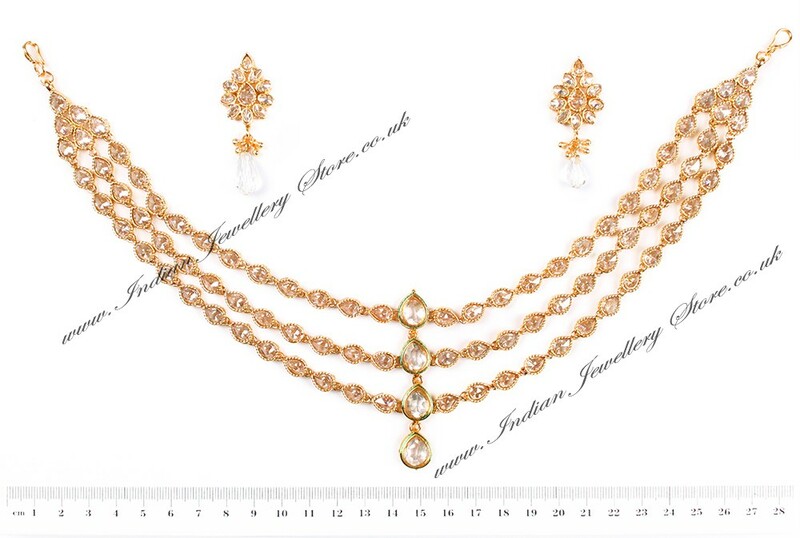 Bollywood inspired Matha patti (Indian head jewellery) and FREE STUD EARRINGS (while stocks last) in a choice of: 22k gold plated, antique-M gold or rhodium plate (silver colour) & clear sparkling white, set with faux pearl & American diamond stones. Stud earrings are perfect for this mathapatti as it is so outstanding it should be left to steal the show! 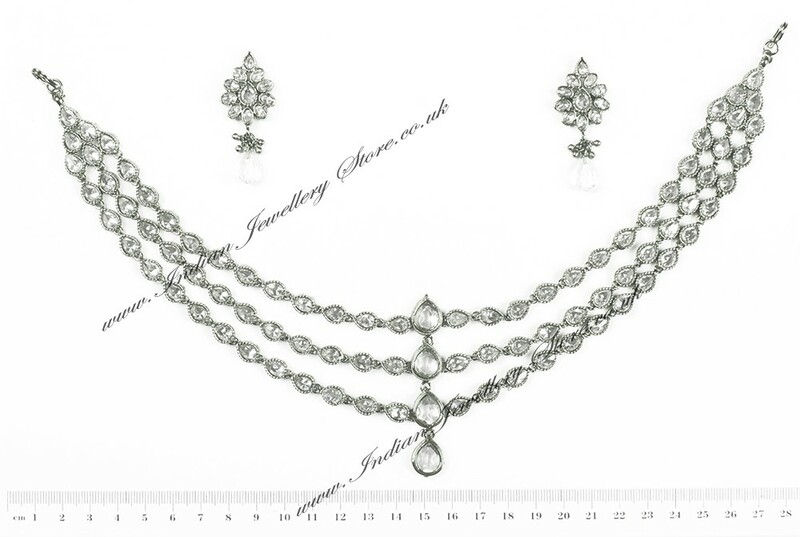 Ideal Indian jewellery set for the lady looking for full on Bollywood GLAM! 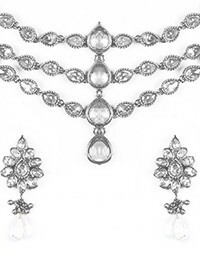 Indian Jewellery Store LOVES this product. Scale shown in image is in cm.